Volvo has released official images of the S90 ahead of its full unveiling at the Detroit Motor show in January 2016. The Swedish firm is currently on a roll since releasing the XC90 in early 2015, but the brand intends this new flagship model to offer a left-field alternative to executive saloons such as the Audi A6, BMW 5 Series and Mercedes E-Class. 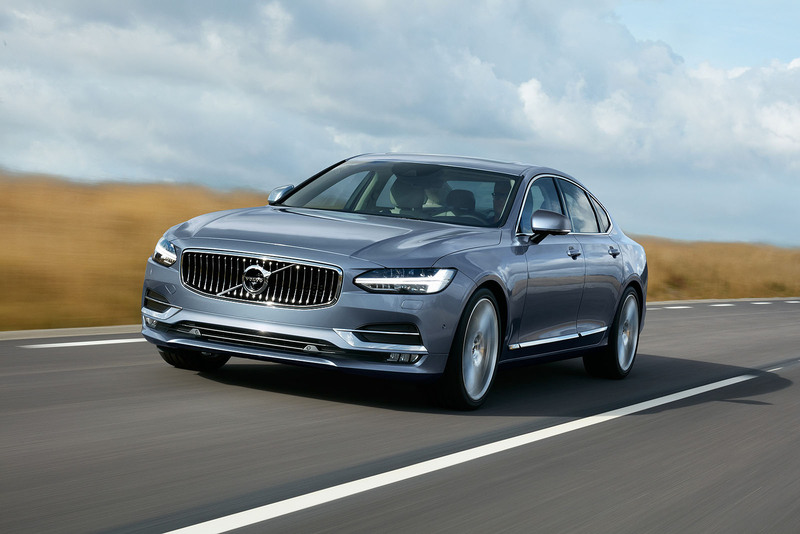 From the outside, the S90 is intended to look graceful and flowing, in contrast to the more aggressive look of many rivals. Details like the ‘Thor’s Hammer’ LED headlight graphics and wide front grille are reminiscent of the XC90, and to our eyes it transfers well onto a longer, lower saloon car. As Thomas Ingenlath, Senior Vice President Design at Volvo Car Group states, the S90 is designed to “bring something entirely new to this rather conservative segment and deliver a visual expression that exudes leadership and confidence.” In addition to the saloon model, an estate variant called the V90 is also likely. The S90 seems to take heavier inspiration from the XC90 inside – no bad thing, because the seven-seat SUV’s dash is one of the most attractive on the market. A large touchscreen infotainment system remains the focal point of the dash, while wide swathes of wood trim flank it from both sides. 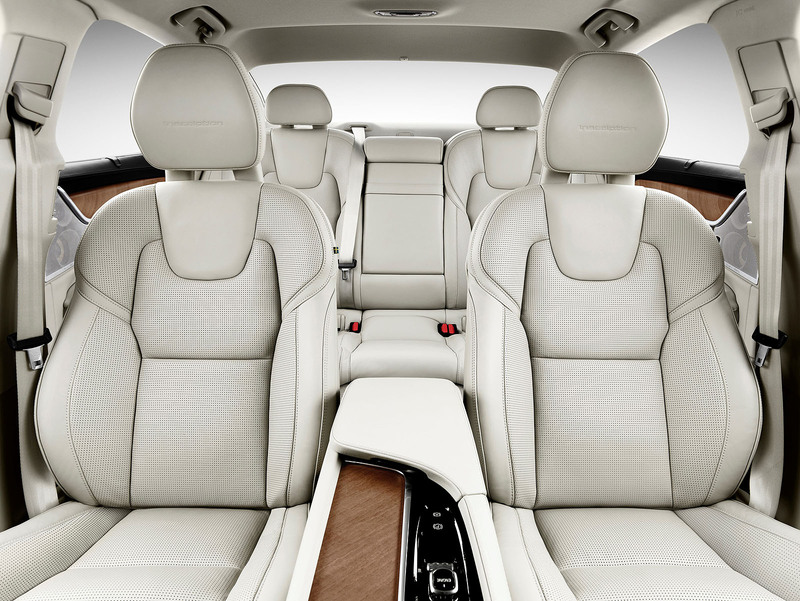 The overwhelming majority of surfaces are trimmed in either natural-feeling leather or wood, and you even get charming Swedish flag labels stitched into the edges of the seats. 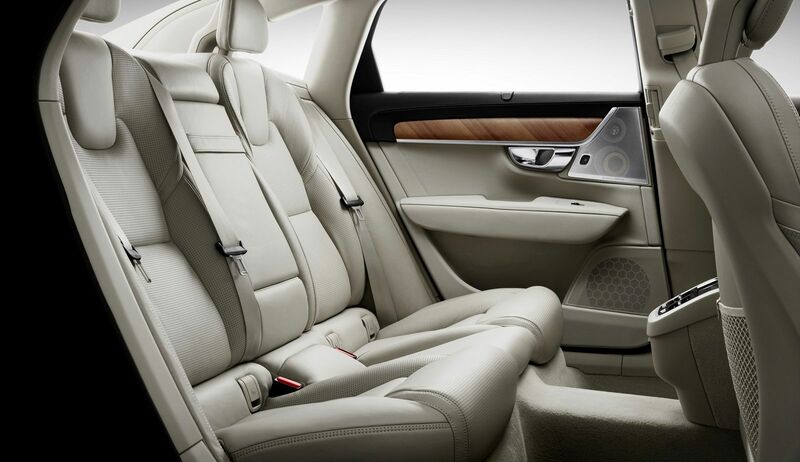 Under the skin, the S90 is set to share many mechanical components with the XC90. Riding on a modified version of the same platform, the suspension design is set to keep a similar multi-link system at the front and composite leaf springs at the rear. There is a chance, however, that it will feature a firmer set up to compete with some of the more sporty models available in this sector. It’s likely that an air suspension setup will be offered too, lending the S90 a silky smooth ride. The peak of the engine range will be the T8 plug-in hybrid system. Producing 395hp thanks to a combination of a 2.0-litre petrol engine and electric motor, power is distributed among all four wheels. In the XC90, this system achieves 134.5mpg under official testing conditions, so expect superior figures in the sleeker saloon body. It’s claimed to get from 0 to 60mph in just over 5 seconds too, so the hybrid is the S90 to pick if you prioritise acceleration. It is likely to be joined by the same petrol and diesel options found lower down in the XC90 range, though these are likely to be front-wheel drive only. Being a Volvo, it shouldn’t come as much of a surprise to discover that it is set to be loaded with the latest safety technology. Set to feature the latest version of the firm’s Drive Assist, it will enable the S90 to drive semi-autonomously, by gently steering the car to keep it between lines on the motorway. It no longer need to rely on the car ahead to maintain the correct trajectory, making the system more useful more of the time. New tech set to debut on the S90 includes Large Animal Detection. This remains on the lookout for horses, elk or moose, and can automatically brake if a collision is imminent. Volvo S90 Prices and Release Date. Volvo isn’t intending to overtake the BMW 5 Series for sales – its target of 2,000 UK units per year is about a fifth of what BMW manages – but expect it to be priced similarly. Entry-level models should start from around £30-35,000, with top spec versions of the Hybrid creeping closer to £70,000. We expect the S90 to go on sale in the UK in early 2016, with the first cars arriving in the middle of the year. New Volvo S90 Technical and Specifications. 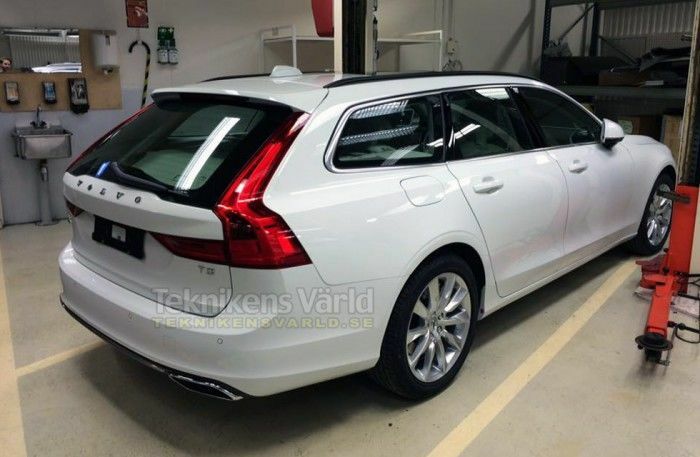 Thanks to a slip up by Volvo, Swedish magazine Teknikens Varld managed to get an early look at the S90 in its estate guise – the V90. Volvo estates have historically been more sought after than the brand’s saloons so this is expected to be a bigger seller when it arrives. It’ll use exactly the same range of engines as the S90 but will offer enhanced cargo space thanks to the more accommodating ‘two-box’ design compared to the saloon’s ‘three-box’ one. The rear screen is still quite raked compared some rival estates meaning Volvo might’ve elected to prioritise style over maximum boot boot capacity. Some critics have complained about the shape of the S90’s taillights but, thanks to the new bumper and bootlid, the lights now flank the rear windscreen – echoing Volvos of old.